Your Local Plumber in Lower Portland? Do you need professional plumbing services in Lower Portland? McMurray Plumbing has you covered, our experience in plumbing spans over 15 years. We offer reliable and long-term solutions to all your plumbing needs. Feel free to give us a call today on 0404 400 200. We offer a wide range of plumbing services from unclogging blocked drains to gas fitting and gas leak repairs. We also work on hot water installations, pipe relining, bathroom plumbing and leaking taps and sinks repairs. Are you looking for an emergency plumber in Lower Portland? We are just a phone call away. •	We at McMurray plumbing value quality delivery and only hire trained and accredited technicians. Our gas plumbers are gas certified to handle all emergencies arising from gas installations and leaks. With a company culture of honesty and quality, you can rest assured of a top-notch service for all your plumbing works. •	Our vans are well stocked with state of the art equipment that helps us solve your plumbing needs in a quick, safe and efficient manner. From the CCTV drain cameras to the mechanical drain cleaners, our modern equipment handled by experienced craftsmen will only assure you of excellent plumbing services. 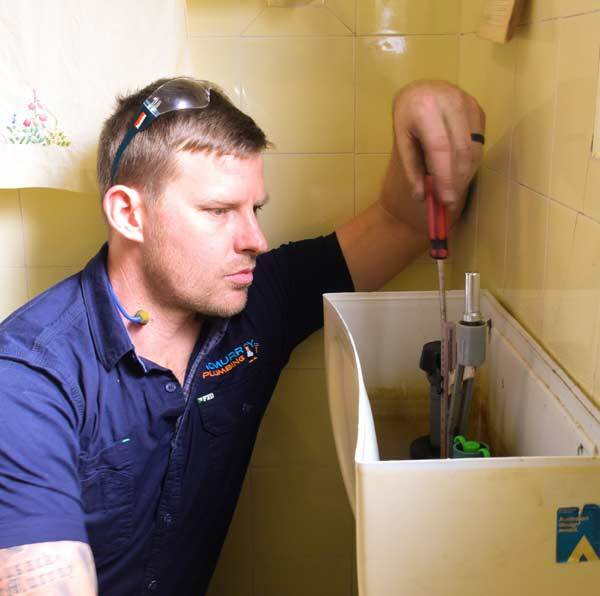 For all your plumbing installations and emergencies, please contact us on 0404 400 200. You may also reach us via email at steve@mcmurrayplumbing.com.au. You can never go wrong with McMurray Plumbing. Feel free to speak to us on weekends, after work, on public holidays; anytime.